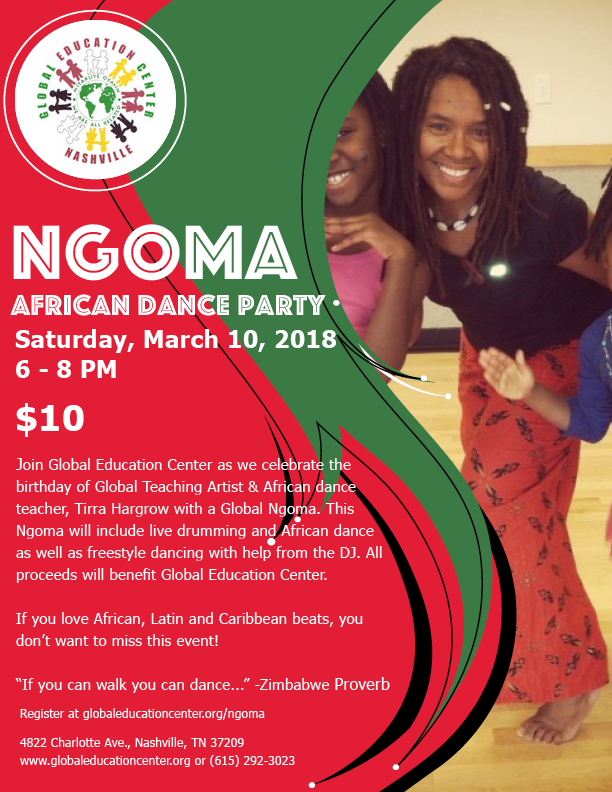 Join Global Education Center as we celebrate the birthday of Global Teaching Artist & African dance teacher, Tirra Hargrow with a Global Ngoma. This Ngoma will include live drumming and African dance as well as freestyle dancing with help from the DJ. All proceeds will benefit Global Education Center. If you love African, Latin and Caribbean beats, you don’t want to miss this event!